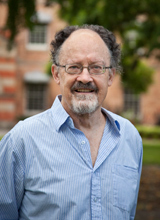 Professor Bob Hodge has many active research interests: in analytic and conceptual toolkits for social and cultural research (critical linguistics, discourse analysis, social semiotics); in major theoretical traditions in humanities and social sciences (Marxism, psychoanalysis, post-colonialism, post-modernism, critical management studies, chaos theory); in radical transdisciplinarity (including science in the mix) and engaged research; and in specific areas of study (globalisation, cyberculture, Australian Studies, Indigenous Studies, Mexico and Latin America, Chinese language and culture, education, popular culture, literature (classical, early modern, contemporary)). He has published in all these areas, and has supervised doctoral studies on all of them and more. Coronado, G & Hodge, B 2017, Metodologías semióticas para análisis de la complejidad (opens in a new window)(PDF, 2.2MB). Hodge, B 2016, Social semiotics for a complex world: analysing language and social meaning (opens in a new window), Polity, UK and USA. Hodge, B & Coronado, G 2012, Mexico and its others. A chaos theory approach, Legas, Ottawa. Hodge, B, Coronado, G, Duarte, F & Teal, G 2010, Chaos theory and the Larrikin Principle: working with organisations in a neo-liberal world (opens in a new window), Liber, Copenhagen. Hodge, B & O'Carroll, J 2006, Borderwork in multicultural Australia (opens in a new window), Allen and Unwin, St Leonards. Hodge, B & Coronado, G 2004, El hipertexto multicultural en México posmoderno, Porrua-CIESAS, Mexico. Hodge, B & Dimitrov, V 2002, Social fuzziology: study of fuzziness of social complexity (opens in a new window), Springer Verlag, Germany. Hodge, B & Louie, K 1998, The politics of Chinese language and culture: the art of reading dragons (opens in a new window), Routledge, London & New York. Hodge, B & Kress, G 1993, Language as ideology (opens in a new window), Routledge, London & New York. Hodge, B & Mishra, V 1991, Dark side of the dream: Australian literature and the postcolonial mind (opens in a new window), Allen and Unwin, St Leonards. Hodge, B & Kress, G 1988, Social semiotics (opens in a new window), Polity Press, London. Hodge, B, Fiske, J & Turner, G 1987, Myths of Oz: reading Australian popular culture (opens in a new window), Allen and Unwin, St Leonards. Hodge, B & Tripp, D 1986, Children and television (opens in a new window), Polity Press, London. [Spanish translation, 1988, Editorial Planeta]. Hodge, B 2017, ‘Social semiotics’, in T Miller (ed. ), The Routledge companion to global popular culture, Routledge, US, pp. 36–44. Hodge, B 2017, ‘Discourse analysis’, in T Bartlett & G O'Grady (eds), The Routledge handbook of systemic functional linguistics, Routledge, UK, pp. 520–532. Hodge, B 2015, 'Beyond confrontation: the trialogue strategy for mediating climate change', in F Cameron & B Neilson (eds), Climate change and museum futures, Routledge, New York, pp. 135-151. Hodge B, 2014, 'Doing business in Latin America the Australian way: debunking myths about cross-cultural sensitivities', in B Carr & J Minns (eds), Australia and Latin America: challenges and opportunities in the new millennium, ANU Press, Canberra, pp. 259-279. Hodge B 2014, 'Discourse analysis and the challenge of identities', in Why discourse matters: negotiating identity in the mediatized world, Y Kalyango & M Weronika Kopytowska (eds), Peter Lang, New York, pp 307-325. Hodge B 2014, 'Sorry, the network society has already been invented: why management education needs Indigenous input', in R Westwood, G Jack, F Khan & M Frenkel (eds), Core-periphery relations and organization studies, Palgrave Macmillan, UK, pp. 204-222. Hodge B 2014, 'Critical electronic discourse analysis: social and cultural research in the electronic age', in HL Lim & F Sudweeks (eds), Innovative methods and technologies for electronic discourse analysis, IGI Global, USA, pp. 191-209. Arvanitakis, J & Hodge, B 2013, 'Engagement and citizenship: universities in the contemporary world', in J Arvanitakis & I Matthews (eds), The citizen in the 21st century, Inter-Disciplinary Press, USA. Hodge, B 2012, 'Hamlet and the crisis in the humanities', in LE Semler, B Hodge & P Kelly (eds), What is the human? : Australian voices from the humanities, Australian Scholarly Publishing, Melbourne, pp. 221-36. Hodge, B 2010, 'Topographies of space, time and disciplinarity in early modern English: the case of Andrew Marvell', in P Kelly & LE Semler (eds), Word and self estranged in English texts (opens in a new window), 1550-1660, Ashgate, London, pp 151-166. Hodge, B 2008, 'From other to self and back: the curious history of ethnography', in N Anderson & K Schlunke (eds), Cultural theory in everyday practice (opens in a new window), Oxford University Press, Melbourne, pp. 228-36. Hodge, B 2007, 'Chaos theory', in S Clegg & JR Bailey (eds), International encyclopedia of organization studies, Sage, Thousand Oaks, pp. 155-58. Hodge, B 2006, 'The goddess tour', in L Hume & K McPhillips (eds), Popular spiritualities: the politics of contemporary enchantment (opens in a new window), Ashgate, Aldershot, pp. 27-40. Hodge, B 2002, 'Dialog profundo', in B Hodge, R Lema & H Saettele (eds), Discurso, sociedad y lenguaje: una anamofósis en el nuevo milenio, Lincom Europa, Spain, pp. 30-54. Hodge, B, Lema, R & Saettele, H 2002, 'Tareas teoricas para mexico en el nuevo milenio', in B Hodge, R Lema & H Saettele (eds), Discurso, sociedad y lenguaje: una anamofósis en el nuevo milenio, Lincom Europa, Spain, pp. 5-28. Dimitrov, V & Hodge, R 2002, 'Why does fuzzy logic need the challenge of social complexity', in V Dimitrov & V Korotkitch (eds), Fuzzy logic: a framework for the new millennium, Springer-Verlag, Heidelberg & New York, pp. 27-44. Hodge, B & Coronado, G 2002, 'Fuzzy and amorphic boundaries in intercultural space: the case of Mexico and the USA', in V Dimitrov & V Korotkitch (eds), Fuzzy logic: a framework for the new millennium, Springer-Verlag, Heidelberg & New York, pp. 63-78. Caffery, J, Coronado, G & Hodge, B 2016, 'Multilingual language policy and mother tongue education in Timor-Leste: a multiscalar approach' (opens in a new window), Language Policy, vol. 15, no. 4, pp. 561-580. Swist, T, Hodge, B & Collin, P 2016, '"Cultural making": how complexity and power relations are modulated in transdisciplinary research', Continuum: Journal of Media & Cultural Studies, DOI:10.1080/10304312.2016.1186606. Caballero, L, Hodge, B, & Hernandez, S 2016, 'Conway's 'Game of Life' and the epigenetic principle', Frontiers in Cellular and Infection Microbiology, vol. 6. DOI: 10.3389/fcimb.2016.00057. Hodge, B 2013, 'The hydra paradox: global disaster management in a world of crises', Globalizations, vol. 10, no. 3, pp. 355-66. Hodge, B 2013, 'Nonlinear causality in Castells's network society: disorder as problem and opportunity under globalization' (opens in a new window), Global Networks, vol. 13, no. 3, pp. 330-44. Cameron, F, Hodge, B & Salazar, J 2013, 'Representing climate change in museum space and places' (opens in a new window), Wiley Interdisciplinary Reviews : Climate Change, vol. 4, no. 1, pp. 9-21. Arvanitakis, J & Hodge, R 2012, 'Forms of engagement and the heterogeneous citizen: towards a reflexive model for youth workshops', Gateways : International Journal of Community Research and Engagement, vol. 5, no. 1, pp. 56-75. Hodge, R 2012, 'Coaching for a complex world', International Coaching Psychology Review, vol. 7, no. 1, pp. 109-13. Hodge, R 2012, 'Ideology, identity, interaction: contradictions and challenges for critical discourse analysis', Critical Approaches to Discourse Analysis Across Disciplines, vol. 5, no. 2, pp. 1-18. Hodge, B & Matthews, I 2011, 'Complexity theory and engaged research: critical incidents in the Sydney rail system', Continuum, vol. 25, no. 6, pp. 887-901. Hodge, R & Matthews, I 2011, 'New media for old bottles: linear thinking and the 2010 Australian election', Communication, Politics and Culture, vol. 44, no. 2, pp. 95-111. Hodge, R & Matthews, I 2011, 'Critical incident analysis and the semiosphere: the curious case of the spitting butterfly', Cultural Studies Review, vol. 17, no. 2, pp. 300-25. Hodge, R 2011, 'Museums and attacks from cyberspace: non-linear communication in a postmodern world', Museum & Society, vol. 9, no. 2, pp. 107-22. Hodge, B 2010, 'Oedipus and the CEO: ambiguities of change in myth, discourse and practice', Culture and Organisation, vol. 16, no. 1, pp. 23-36. Hodge, B 2009, 'Sera que los analisis tienen esquinas', Estudios de Linguistica Aplicada, vol. 25, no. 46, pp. 233-61. Hodge, B & Coronado, G 2007, 'Understanding change in organizations in a far-from-equilibrium world', Emergence: Complexity & Organisation, vol. 9, no. 3, pp. 3-15. Hodge, B 2007, 'The complexity revolution' (opens in a new window), Media/Culture Journal, vol. 10, no. 3, pp. 4-11. Hodge, B 2007, 'Life, chaos, and transdisciplinarity: a personal journey', World Futures: The Journal of General Evolution, vol. 63, no. 3-4, pp. 209-22. Duarte, F & Hodge, B 2007, 'Crossing paradigms: a meta-autoethnography of a fieldwork trip to Brazil', Cultures and Organizations, vol. 13, no. 3, pp. 191-203. Hodge, B & Coronado, G 2006, 'Mexico Inc.? Discourse analysis and the triumph of managerialism', Organization. The Critical Journal of Organization, Theory and Society, vol. 13, no. 4, pp. 529-47. Hodge, B & Lally, E 2006, 'Cultural planning and chaos theory in cyberspace: some notes on a digital cultural atlas project for Western Sydney' (opens in a new window), Fibreculture Journal, vol. 9. Hodge, B & Coronado, G 2005, 'Speculations on a Marxist theory of the virtual revolution' (opens in a new window), Fibreculture Journal, Research, vol. 5. Hodge, B 2005, 'Ute culture and what's left of theory: an Australian theorist goes to Mexico', Continuum: Journal of Media and Cultural Studies, vol. 19, no. 1, pp. 117-26. Hodge, B & Caballero, L 2005, 'Biology, semiotics, complexity: an experiment in interdisciplinarity' (opens in a new window), Semiotica, vol. 157, no. 1-4, pp. 477-96. Mishra, V & Hodge, B 2005, 'What was postcolonialism', New Literary History, no. 36, pp. 375-402. Hodge, B & Coronado, G 2004, 'Semiotica y poder en un mundo caotico', Version, no. 13, pp. 17-47. Hodge, B 2003, 'Towards a postmodern science of language', Social Semiotics, vol. 13, no. 3, pp. 241-62. Hodge, B 2003, 'Culture/communication/theory in Australia' (opens in a new window), AUMLA, no. 100, pp. 88-98. Hodge, B 2003, 'How the medium is the message in the unconscious of America online', Visual Communication, vol. 2, no. 3, pp. 341-54. Hodge, B 2003, 'Chaos theory: an introduction for TESOL practitioners' (opens in a new window), English Australia, vol. 21, no. 1, pp. 8-16. Dimitrov, V & Hodge, B 2003, 'Corruption and abuse of the fuzziness of human understanding', Journal of Social Complexity, vol. 1, no. 3, pp. 18-23. Hodge, B 2002, 'Feral archaeology and the Atlantis problem: the "hoax" trick as discursive pathology', Cultural Studies, vol. 16, no. 3, pp. 351-64. Caffery, J, Coronado, G, Hodge, B & Taylor-Leech, K 2014, The Timor-Leste Mother Tongue Based Multilingual Education Pilot Project: a strategic evaluation (opens in a new window)(PDF, 1.6MB).